Custom App Development is a process in which you create a software product from scratch keeping in mind the requirements of a company. A custom app is specific to the company and is built for a mass audience. Custom android app development or even customized apps for IOS are trending from the last year. The reason is the advancement of technologies, and also some apps can’t be developed for everyone. Thus, it is very crucial for startups and enterprises to keep a check on custom app development trends and forgo ready-made solutions. When you chose Android app development for your business, why go for custom apps instead of ready-made solutions? Well, the 5 benefits of customized android app for businesses below will clear your doubts. The first benefit is that when you go for custom app development, you get the whole package. It means that you get a lot of features that gets customized according to the app’s or software’s need. Most of these features are useful for you custom Android app development. Secondly, when you go for ready-made solutions, you have to pay extra in terms of installation, support and so on. But when you buy a custom Android app development package, you are good for a long time. This practice saves both time and money as you don’t have to keep buying the same thing again and again. The success of any mobile company depends on the satisfaction of its users. That is why it is imperative that you meet the expectations of the users. It is achieved through custom apps, but for this, you should know the needs of a user and develop apps accordingly. With Android app development, the biggest advantage a company gets is customization. The Android OS platform is easy to work with as it lets you customize app according to any requirement with ease. Also, the custom Android app development process is flexible. It lets developers integrate multimedia tools with data managing tools, which is great when you have to meet the expectation of a huge audience. As we already know that the market share of Android is huge. With its flexible features and affordable prices, Android devices sell most especially in Asia and in countries that have maximum people earning averagely. Thus, custom apps for Android will definitely help you to reach a wider audience. Since custom apps are created for one specific business, it is impossible to know the product’s architect. It means better security and no same software in the market. Also, custom app development means that the applications will be highly secured, which is something you don’t get in ready-made solutions. Also, an app that the users for storing sensitive data cannot be created using ready-made solutions. The reason they are more vulnerable to hacking because they can be accessed by everyone. We all know that Android is an open-source platform and its SDK is used and modified by developers across the globe. These features make Android an obvious choice as everyone has free access and companies don’t have to pay license or loyalty cost. Also, the Android developer community is huge which makes it easy to get your hands on the latest version of the OS. Another benefit is that developers pay once for distributing the app. Thus, customizing android app development is not only a simple process, but also requires less investment. All this doesn’t affect the app’s quality, and users get a quality product that is regularly updated, and you get an increased rate of investment (ROI). In the last two years, custom app development has become a huge deal which also means that the process has become simple. So, if you are getting into this field, make sure you chose custom Android app development. It has a unique solution that meets the needs of your users and doesn’t require a huge budget. All this will certainly set you apart and higher than your competitors. Some branches of mobile app development require custom app as they perform better when developed for specific OS. 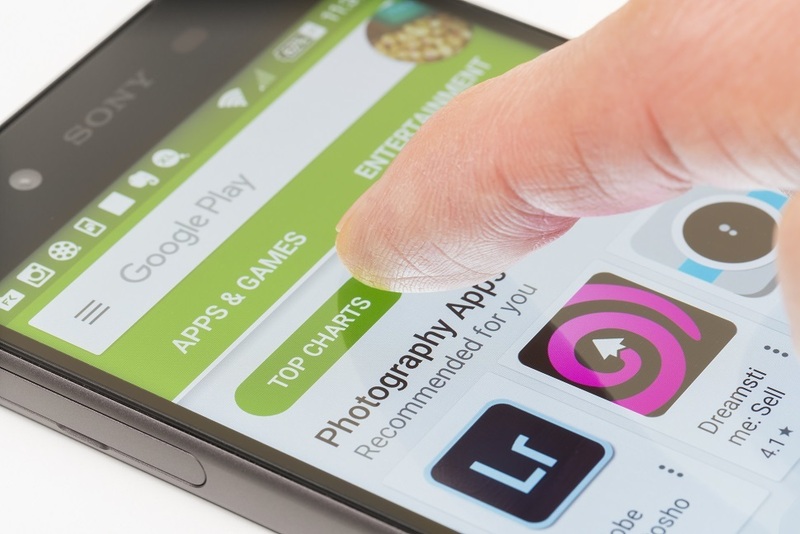 Here are the latest trends in Custom Android App Development. Android has launched its own AR development kit- ArCore Plus. In the coming years, the below AR based apps will become popular. Apps developed for specific brands consumers: Such AR apps will help a company to communicate easily with their consumers. It provides real-time experience to the users. Apps like Ikea: More companies are thinking about developing apps like Ikea and GAP that will users in their daily routines. AR gaming app: Gaming apps are always popular with all users. Companies are using AR techniques for proving users with better and unique performance. Blockchain technology is gaining popularity, and in the coming years, many apps based on this tech will be famous. Blockchain mobile app: For safer financial options for users. Blockchain apps for enterprises and specific industry: Apps for enterprises that use this platform will get launched. Also, industry-specific apps will come into the picture for the smooth functioning of the company. Apps using Blockchain tech for storing personal data: Blockchain has high security and in future apps will be developed that stores users personal data. They will be famous as it has the highest security. Instant Apps is the latest trend that Google launched in 2017. It lets the user try any feature of the app without downloading it fully. The instant app trend is gaining popularity, and Custom Android app development will help in this. Custom app development is the latest trend and one that will be highly fruitful for your business. For any startup or a new business, going for Android app development is the best choice due to its flexibility and low budget requirement. And the best way to make sure your venture is successful is by going for custom Android app development.